How many different types of properties can you find as you travel from Brisbane to Sunshine Coast in Queensland Australia? The variety is truly amazing. How many different communities will you travel through? You will be going through communities like Oxenford, Pimpama, Shailer Park, Underwood, Coopers Plains, and many others. Your choice of building design services for this area of Queensland needs to have an understanding of the rules and regulations for all of these communities. Where are you planning to build? 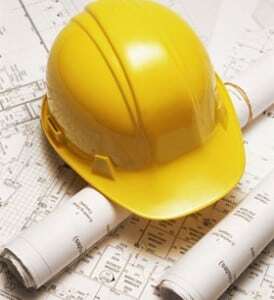 Drafting Concepts PTY Ltd creates construction drawings and building designs for people in all of these communities. Daryl Wood and his team keep up to date on local rules and regulations throughout the region. When they start working in a community which they have not designed for previously they dig deeply to discover if there are any special concerns for home plans. Are Local Construction Professionals Familiar with Your Designer? Council offices, inspectors, and builders throughout the region are familiar with Daryl and Drafting Concepts. They have seen him around the scene for years creating outstanding plans and being involved in the industry. He started off working in construction, moved into construction supply, and then followed his real dreams to become a designer. What does this mean for you? It means when you sit down with Daryl for a free consultation to discuss building a home anywhere from Brisbane to Sunshine Coast he is going to understand the challenges you might face. He is going to know who to contact to get answers and how to get your building permit approved and the project underway. 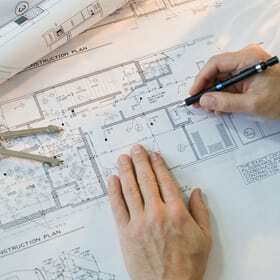 More importantly, the team at Drafting Concepts lives in the region and they understand how to design homes which integrate into the communities and environment while still giving you the appearance and originality you desire. Do You Need Referrals to Help Choose the Building Design Services? When you sit down for your free consultation make sure you ask for a few referrals from the area. That allows you to contact people who have experienced the design process, watched as it went through the entire building process, and the final certification. They can explain to you how the focus on clear communication at all points in the process eliminated wasted time and potential mistakes. Many previous clients will tell you stories of how they actually ended up with more than they expected as they were challenged to express their real dreams for their home. Equally important is taking the time to talk to a few builders who have worked with the designer. What were there impressions? Were the plans easy to follow? Did they run into many questions? Daryl Wood’s background of being involved in all phases of construction allows him to have some very unique insights. He knows first-hand the importance of plans being precisely worded and very clear. He knows when there is any ambiguity construction comes to a stop until the issues is clarified. He understands that tiny mistakes which violate a local zoning rule can even stop the building permits from being issued. His intimate knowledge of the communities scattered between Sunshine Coast and Brisbane, paired with his thorough understanding of the industry allows him to create plans which do not cause delays. All of the knowledge, background, and skill needs to be accompanied by one more thing. Your choice of a team for building design services must have synergy. You must feel comfortable talking with the designer. You must feel confident they can communicate clearly to builders. You want to feel assured they can deal with council officials, certifiers, and other regulators. The best way to find out if a building designer is right for our community is to sit down and talk to them. 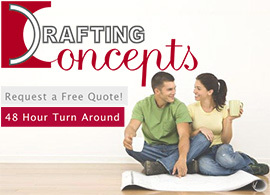 Daryl Woods at Drafting Concepts offers a free one hour consultation.